The RIYL on this album lists two bands that caught my eye: Tindersticks, a band that English music magazine Melody Maker cited in their review of the band's self-titled album as "conceivably the most 'critically acclaimed' band of all time," and Red House Painters, an absolute treasure trove of strange, painstakingly crafted, emotionally resonant folk rock and the pride of 4AD (besides Cocteau Twins). Talk about setting a high bar for yourself. 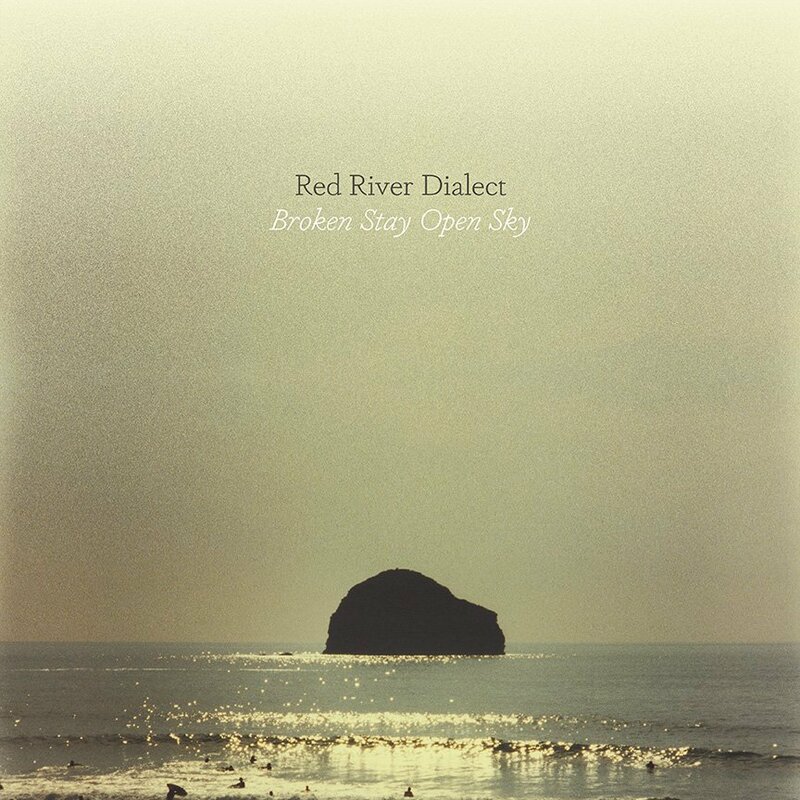 Red River Dialect, whose name also begins with the word "red" and consists of three words, dares to name-drop those two hallowed acts while also claiming to be wholly original. If you only read the very ambitious promo sticker on this album and nothing else, you might be convinced that you're holding one of the greatest albums of all time in your hands. There are some seriously bold claims in there. As I expected, Broken Stay Open Sky delivers on exactly none of those claims. This album is shockingly unoriginal. This album sounds like if six people decided to form a band with the singular goal of sounding "like really, really pastoral." This album sounds like if Ed Sheeran's record label told him to listen to a Sun Kil Moon album and recreate it because he needs to expand his audience into the indiesphere. Then, after Ed did just as he was told, his producer slapped some random pastoral-sounding instruments like a dulcimer and fiddle and banjo in the mix right on top of the acoustic guitar. This album sounds like if a guy with 1/100th of the talent of Nick Drake decided to take up folk music on a whim. This album sounds like the winder of a Red House Painters ripoff contest. I'm just glad this band didn't try to sound like Tindersticks, because that's the only move that could have made this album worse. I struggled to listen all the way through this yawnfest, and I only did so out of my commitment to this radio station and love for the wonderful people who are a part of it. If you're reading this, ONLY play this album on air if you have... actually, don't play this album.